'Classmate Spell bee Season 7 ' is an Upcoming Tv show which is going to be launch soon on Discovery Channel. Basically this is a Talent Hunt show for the Student of Class 5 - 9 .Classmate Spell bee Season 7 is Powered by The Times of India and Classmate . This is a Spelling Competition.The Show will be starting from 22nd March 2015 at 11 am on Discovery Channel. Classmate Spell Bee 2015 powered by The Times of India is a spelling competition for students from Class 5 to 9. The competition is an 'Initiative by Radio Mirchi' and this year it will travel to more than 800 schools across 30 cities in India and will cover more than 2,75,000 students. Contest will engage in a variety of methods to test the students on spellings, offering the perfect pronunciations and supplying the etymological meaning of each word. The competition starts with tests conducted in schools, followed by an online City Final round, subsequently followed by two rigorous Semi Final rounds and finally culminates into an exciting televised national level championship. A MCQ format (Multiple Choice Question) written test will be conducted for students in standards V – IX in the schools that we physically conduct tests in. Students will be asked to fill in some mandatory information about them for all future correspondence. They will be asked to select the correct spellings of 75 words given to each one of them. *Top scorers from every school will make it to Level II (City Finals) of the competition. Classmate Spell Bee makes it possible for every eligible student in India to take the Level 1 test online. *Top scorers from the online test will also be invited to Level II of the competition. 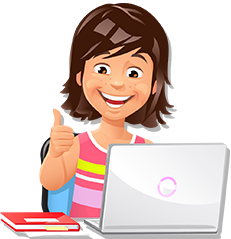 If a student belongs to a city that is not part of Spell Bee's Level I, he / she can participate by taking the online test by choosing his/ her preferred city for participation in Level III (if he / she qualifies for the same after Level I and Level II). Actress Soha Ali Khan is all set to return to the small screen with the latest season of Classmate spell bee season 7. Gratification to the winner was a cash prize of INR 2,00,000 and an all expenses trip paid to witness the Scripps National Spelling Bee Contest at Washington D. C. with a parent. In Season 6 Spell Bee took aggressively to digital platforms to create one of the property's most memorable seasons. There was robust participation online as well as from schools. Over 2,50,000 students participated from over 799 schools across India.